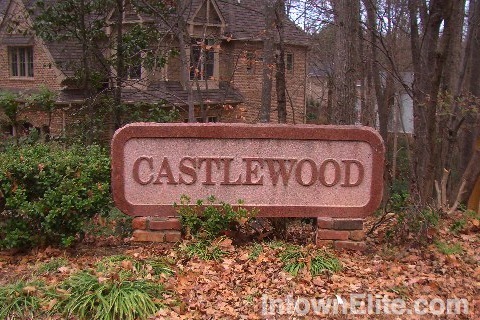 Castlewood is a neighborhood in west-central Buckhead, bordered by the curve of Northside Drive and Northside Parkway on the east and north, Moores Mill and Howell Mill Roads on the west and West Wesley Road on the south. The neighborhood includes a variety of homes from original 1950's ranches, to large colonials and large new-construction manors. Castlewood is walking-distance to Atlanta Memorial Park and the highly sought-after Morris Brandon elementary school. Bordering neighborhoods include Paces to the northwest, Argonne Forest to the northeast and Memorial Park to the south.